Which Turntable Should You Buy For The Holidays? It's that time of the year once again...holiday shopping! Nothing is harder than trying to perfect gift for someone! Sometimes you have an idea of what they want, but there's so many brands and styles to choose from, and you still have to find one that fits in your budget. Here at Spinster Records we suggest you can never go wrong with a turntable as a gift. You are literally giving the gift of music. Turntables don't expire or offend and good quality turntables can be shared and passed down through generations. However, with so many to choose from it can be overwhelming to decide which is best for you or your gift recipient. Below we have a list (from least to most expensive) with a helpful suggestion of who the turntable might suit. A lot of people are attracted to this record player at first glance because it's retro suitcasecase look. It's small and easy to take anywhere. Everything needed to play a record is contained in the box, including built in speakers. It's a great idea youngsters that are just getting into vinyl records. 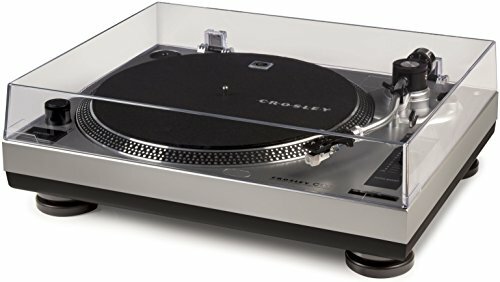 The Crosley C100 shares many styling cues with the more expensive AudioTechnica LP120 and the two turntables do share several qualities. Most notably both feature a built in phono preamplifier for easy connection to a soundbar, home theater system, existing stereo system, and many other speaker solutions. 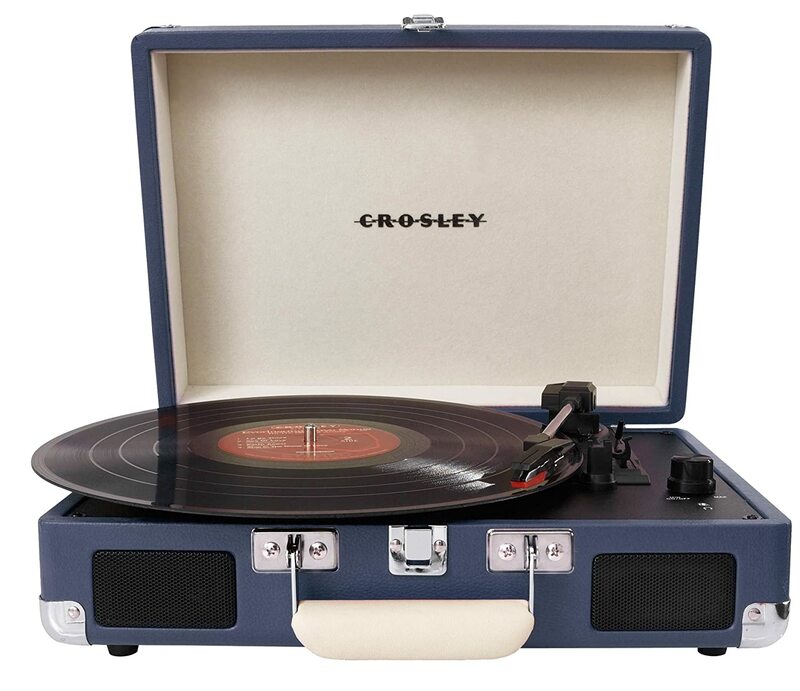 It's an easy to use turntable that is a good step up from the all-in-one Crosley Cruiser above, but still easy on the pocketbook. The Music Hall USB 1 is the bare minimum of what you need for a good turntable that can also download the records to your PC. It comes in a clean black and is super light. The lightness makes it easy to move around. The reason it makes a good gift to parents is because... lets be honest... it's not that expensive to give to someone who you're unsure if they will be into it, yet wanting them to get into it. 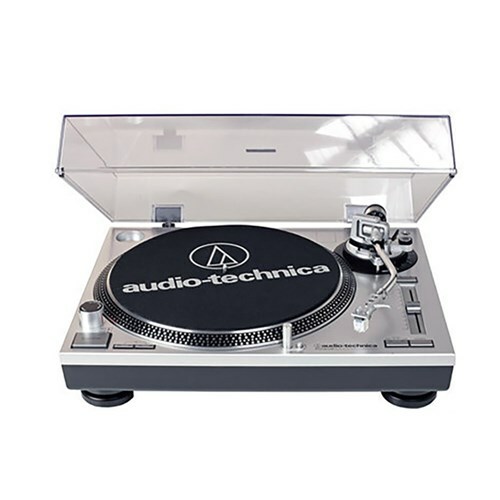 Not only is this a great DJ turntable, it digitizes your vinyl, can play 3 different speeds, is heavy and sturdy, and the highest rated turntable online. It's truly hard to beat, and has been a consistent favorite at Spinster since we opened. This is for the person who wants to download records to sample and then potentially use the turntable to scratch and DJ like the good old days. Minimal is in, and this is for the person who wants to toss a record on with no complications. It's our most simple turntable. If you're minimalistic there's a good chance that you like black and white, so good news! This comes in sleek black. Visually it looks like it's worth 500, but this baby goes for $300. ﻿Music Hall really picked up it's game with this gorgeous wood turntable. First off, it has real cherry wood... it's the real deal wood. It's our most expensive turntable that includes the Pre-Amp inside it. Just like the up-coming turntables mage by Rega, and Edwards Audio, the 1.5 is low noise belt driven. The S-shaped aluminum tonearm really adds a nice touch to this beauty. Throughout the 3 years Spinster has been open the Rega Planar 1 has been a consist big seller. It's hand made in England, put together bit by bit. When travelling through Marfa they had this at El Cosmico, and it just looks fantastic surrounded by cacti and mid century modern furniture... it's retro yet modern. We usually sell the white because it's so clean looking. This turntable plays Jazz, Classical, and softer music great because it's a belt drive and insanely quiet. You can hear every notes. for $175 more you get the turntable you'd eventually upgrade to... so why not jump on it early. Synchronous AC motor with a new motor PCB and aluminium pulley offering low noise and better speed stability. Futuristic? Because it looks like a turntable from Darth Vader's bedroom. That see-through platter doesn't even need a mat... makes you feel like you could transport the record to another dimension. This turntable is really just a improved Rega with a unique spin. It comes from the warehouse that supplies Rega with parts, so if this was made by Rega it would potentially cost a lot more. For a little bit more you really are buying better quality parts, and a more unique look. To get the cleanest, exact, and most beautiful sound you must go big bucks. Like cars, turntables are an investment and the more money you spend the better the investment. This is hand-made, real rosenut wood veneer, a Ortofon Bronze Cartridge (which alone is $400), and a very low-torque, belt drive. This leaves the rest of our turntables in the dust and to really grasp it's greatness you should come in to hear it.... writing about it doesn't do it justice. To be honest, it's hard to describe sound like this... especially when comparing and contrasting these turntables. We have them hooked up and ready to Demo, so swing on by and check out what we got. Let us guide you to the right fit.